Suga's features live entertainment every Saturday night and Sunday brunch, as well as numerous special shows throughout the year. Saxophonist Jeremy Benoit "JB Saax" is a young, passionate enthusiastic jazz artist from Lafayette, Louisiana. He began playing the saxophone at the age of 9 years old at J.W. Faulk Elementary school. It was the first instrument his band director gave him to try but almost immediately he became hooked. Developing his musical talent became a constant in his life from that point on and was a big part of his academic career. 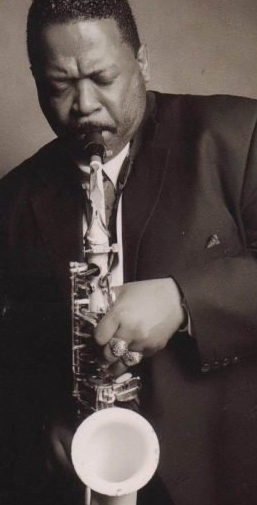 After earning his Bachelor of Arts Degree in Communications from the University of Louisiana in the fall of 2008, and being an active part of multiple jazz combos there, he began his agressive pursuit of music. Born and raised in Beaumont, TX with roots in South America, Grace Mathis bares her soul whenever she performs. Playing the piano, with bluesy and jazzy vocals, she gives her own twist to any song she plays - whether original, jazz standard, pop, or classic rock. HUNTER COURTS is a singer and actor who lives in Port Neches. He has been entertaining audiences for 18 years, performing in local theater productions and singing at a variety of venues including private clubs and parties, wedding and anniversary receptions and other special events. Hunter enjoys singing songs from a variety of genres including classic crooners, Broadway show tunes, jazz, rhythm & blues, swing, folk, classic, pop and soft rock. The Undrai Fizer Project, one of the country's leading innovators in rhythmic healing jazz, consciousness music and inner thought jazz, was formed in Santa Barbara, CA. After developing the core of their sound, a calming, relaxed, "simple groove", they've returned home to Houston, Texas were they perform in various cafes, tasting rooms and restaurants. Born in Tyler, Texas and raised in Houston, Theresa Grayson began playing piano and sax (among other woodwind instruments) in fourth grade and enjoyed an encouraging stream of accolades for her outstanding musicianship throughout grade school. Building a musical foundation on regular performances at church beginning at age 12, she further honed her musical skills and developed her passion under the tutelage of internationally known instructors/musicians Chuck Nolan, Dr. Woody Witt and Dr. Rod Cannon of Sam Houston State University and North Texas University—where she earned a degree in music performance and jazz studies. Grayson continued her education with two master’s degrees with an emphasis in music education and leadership. She has been a renowned music educator since the early 2000s, first as an orchestra director at a middle school and currently teaching music at an elementary school in Ft. Bend County. After drawing on her extensive church music background to record her inspirational instrumental debut It’s All About You, Grayson –a longtime first call side musician – tapped renowned gospel and jazz pianist and multi-instrumentalist Terence Fisher—a musical mainstay in both Shreveport and Houston—to help her take her urban jazz game to the next level. On her second solo release, Live2Love, which spawned the successfully charting radio singles “Afterthoughts” and a cover of Maroon 5’s “Moves Like Jagger”, the multi-talented Grayson showcased her versatile skills on soprano and tenor sax and flute along with her soulful lead vocals on several tracks. The album blended everything from gospel, pop and R&B to blues, calypso, Latin and classical music into her unique brand of cutting edge contemporary jazz. Whether it's playing some light jazz behind a dinner party, performing solo on a dim lit patio of a restaurant, or in the spotlight, wailing the blues, Kay Miller is in her element when there is a microphone in her hand and she is making music!